In 1963, Dolores Templeton stood with several others looking over a tomato field thinking, “This is where we will build our church.” The tomato field, donated by Mr. and Mrs. Robert Yates, was located on Dutch Road in Fairview and became the site for St. Stephen’s Episcopal Church, celebrating its fiftieth anniversary this year. St. Stephen’s story began in 1963 when a group that was worshiping at Trinity Mission in Fairview (founded in 1907 over Dr. Week’s drugstore), along with a group from the Cathedral of St. Paul who lived in the western suburbs of Erie, gathered together to discuss the need for a new parish. Bishop Crittenden gave his approval for the establishment of a church that would be a mission of the Cathedral of St. Paul. Money was quickly raised and there was a ground-breaking ceremony in December 1964. During that time the Rev. Ronald C. Molrine was being considered as the vicar and seemed a perfect fit, but he lived in California and there was no money to transport him for an interview. As luck, or divine intervention, would have it, Fr. Molrine was already traveling to Washington D.C. and was able to make it to Erie for an interview. He was issued the call and accepted before he left. 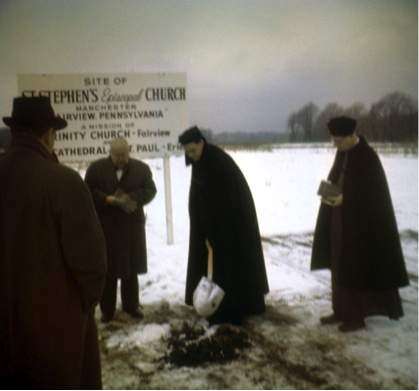 St. Stephen’s cornerstone was laid on July 15th, 1965, and the first service in the new building took place on October 17th, 1965. St. Stephen’s quickly grew, adding a Boy Scout troop in 1967 and a nursery school in 1968. By 1969, they had outgrown the building and an educational wing and offices were added. St. Stephen’s ministry as a Christ-centered community was celebrated in grand style on October 14th, with Char Molrine, the widow of Fr. Molrine, in attendance. Bishop Sean was also there and gave the blessing to start the festivities as well as a rousing speech about St. Stephen’s. The Rev. Fitzgibbons called on people to stand by the year they had started attending St. Stephen’s. 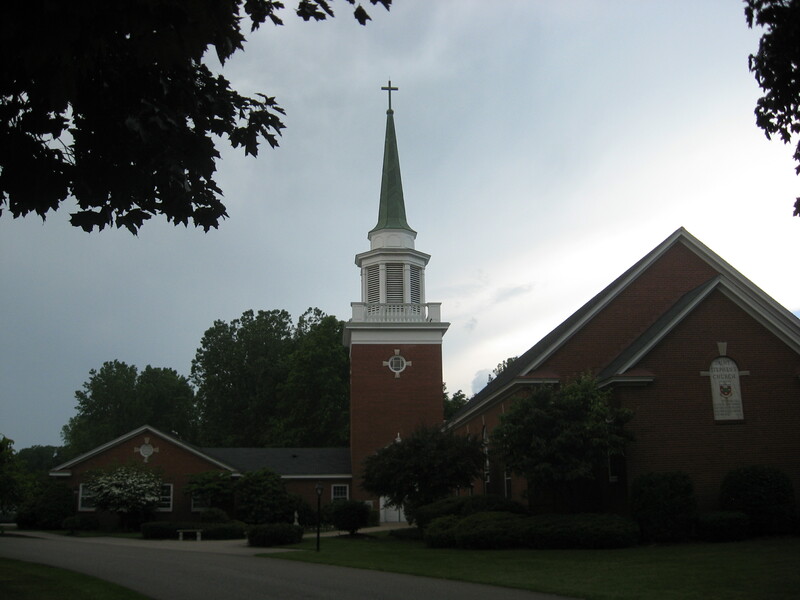 One parishioner commented on how impressive it was that the parishioners from the 1960s numbered almost as many as the parishioners from the 2010s. Dolores Templeton is now 87 and could not travel to St. Stephen’s fiftieth anniversary celebration, but sent her blessings and spoke of her pride in raising her kids there. This entry was posted in Events and tagged 50th Anniversary, St. Stephen's, templeton, Yates. Bookmark the permalink.